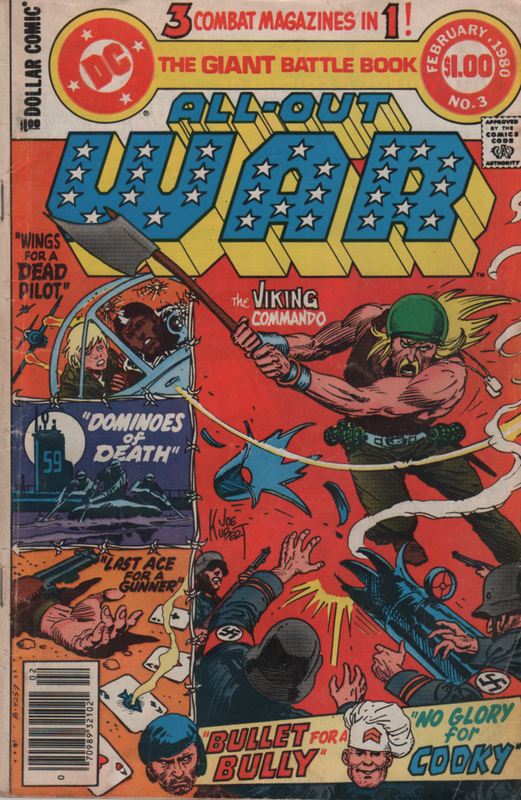 For November, its been brought to my attention (via Twitter), that there is a hashtag (#warcomicsmonth) spotlighting military comics such as Our Fighting Forces and the entire genre! 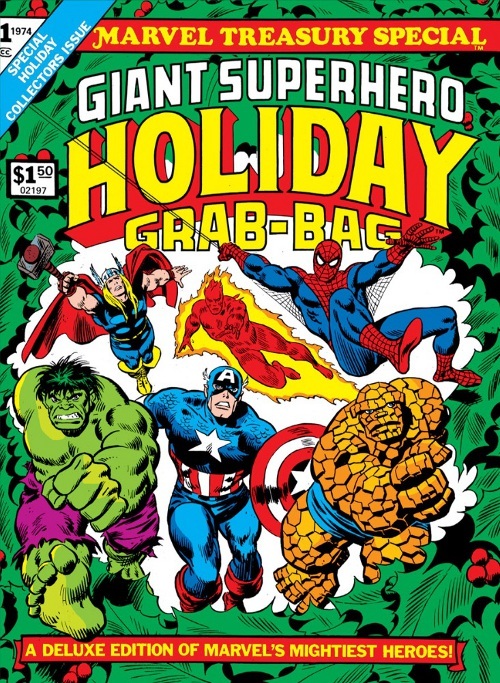 This is a genre that I didn’t really get into until the last decade, but it’s one that is chocked full of brilliant work by some of the best creators in comic book history! 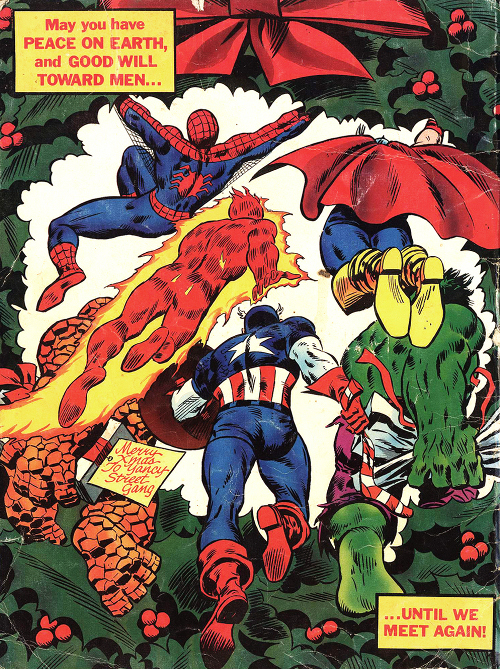 In the Marvel vs. DC debate, there is a lot of room for speculation and conversation on which company is best as far as content over the years. 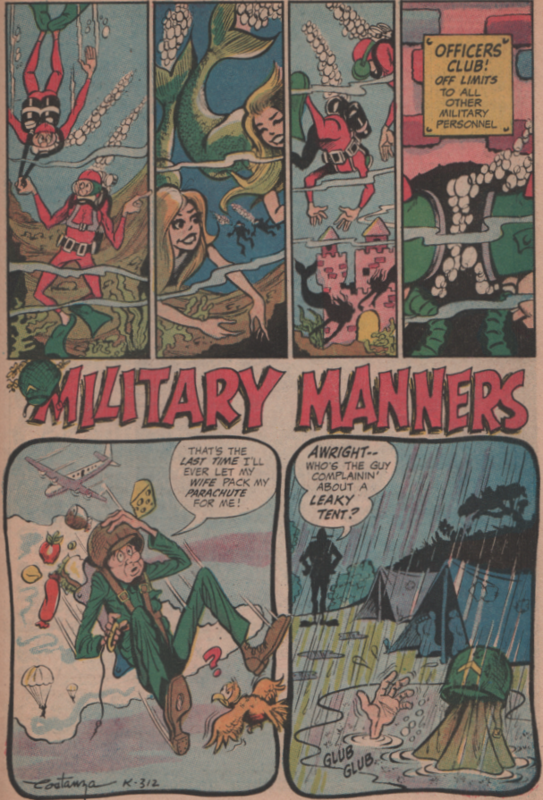 If you look at each genre, rather than overall, you can see a pretty wide gap in a the war/military comics corner. 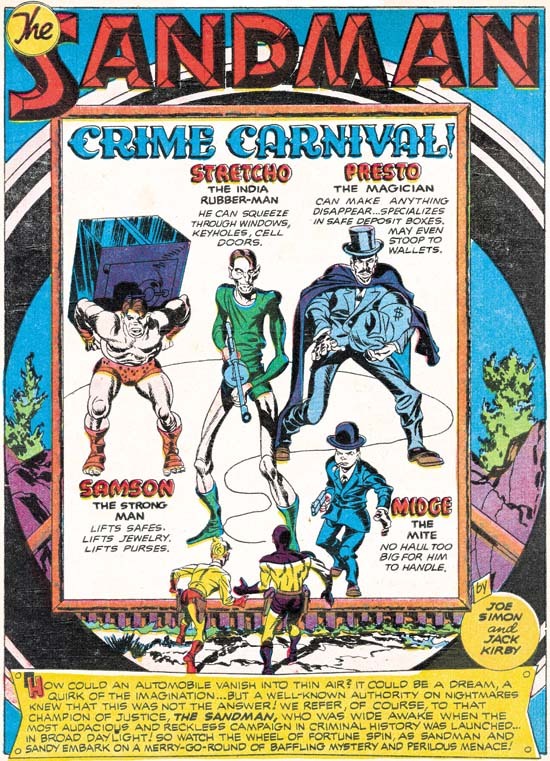 DC comics had several great titles, and certainly the better between the two comic book giants. 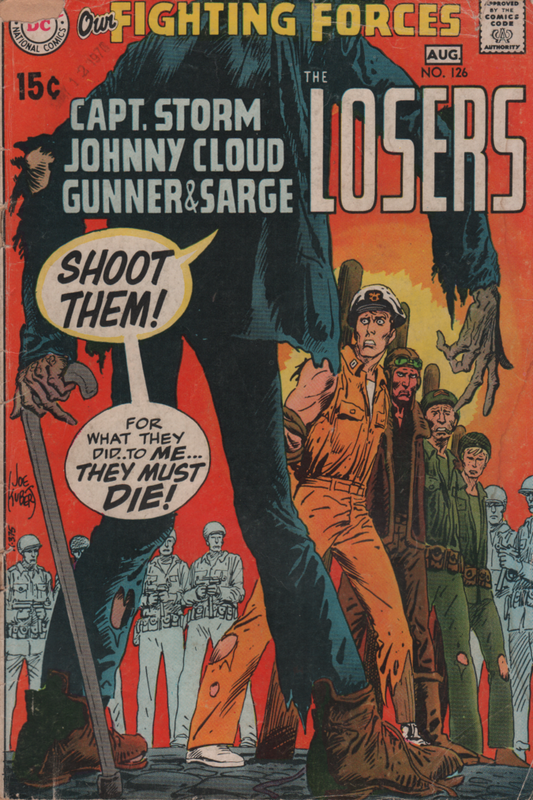 This book contains three stories (plus some extras), and the first stars that lovable group, The Losers! 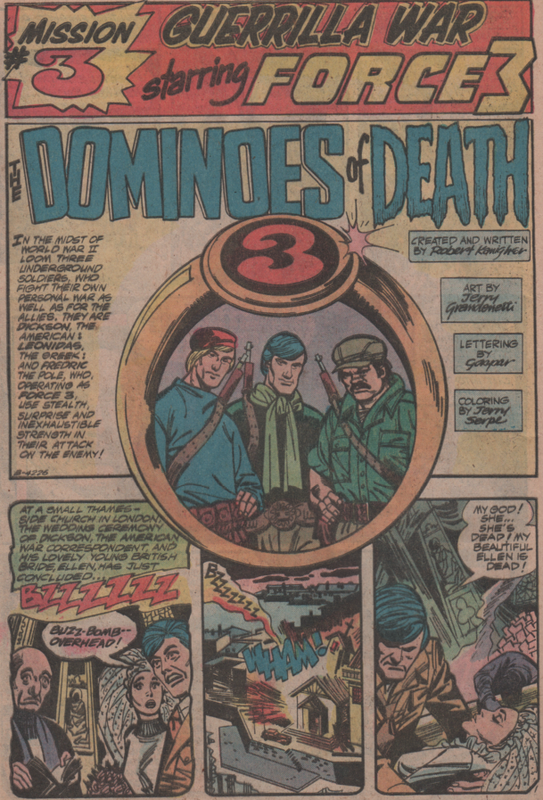 Captain Storm, Johnny Cloud, Gunner, and Sarge, are always finding themselves in situations with seemingly no way out, but always manage to find a way to survive and get to the next mission alive! 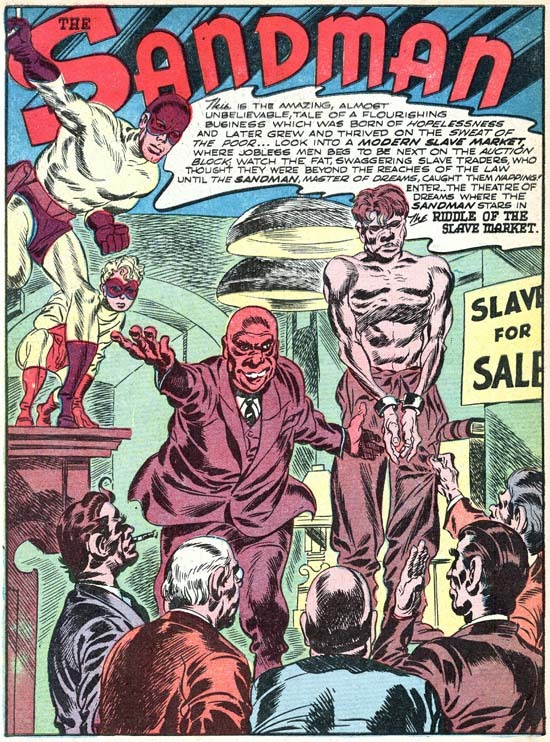 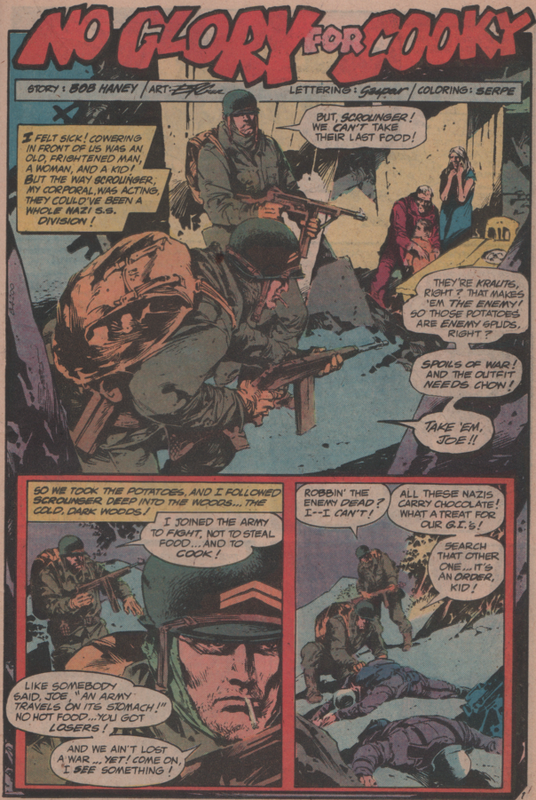 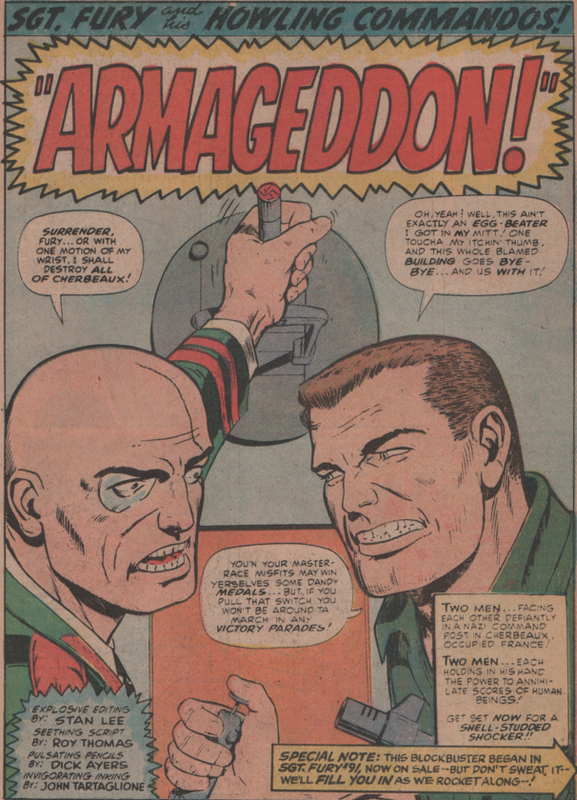 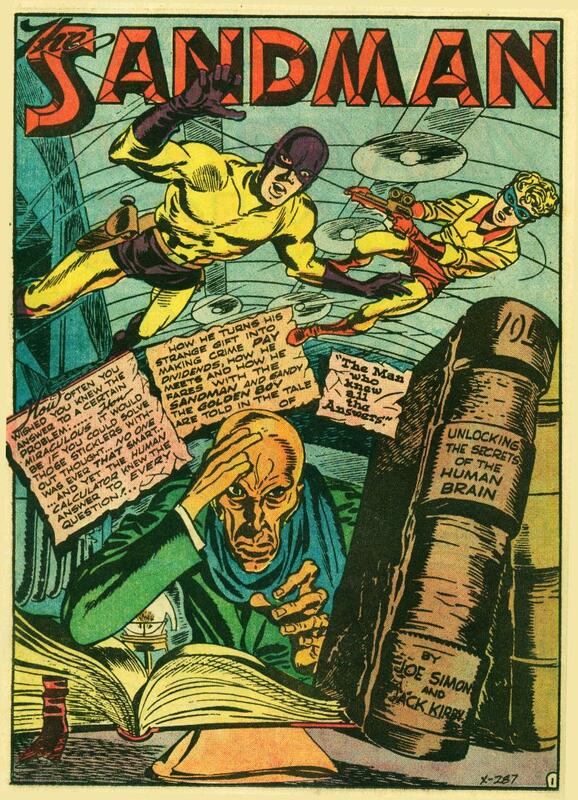 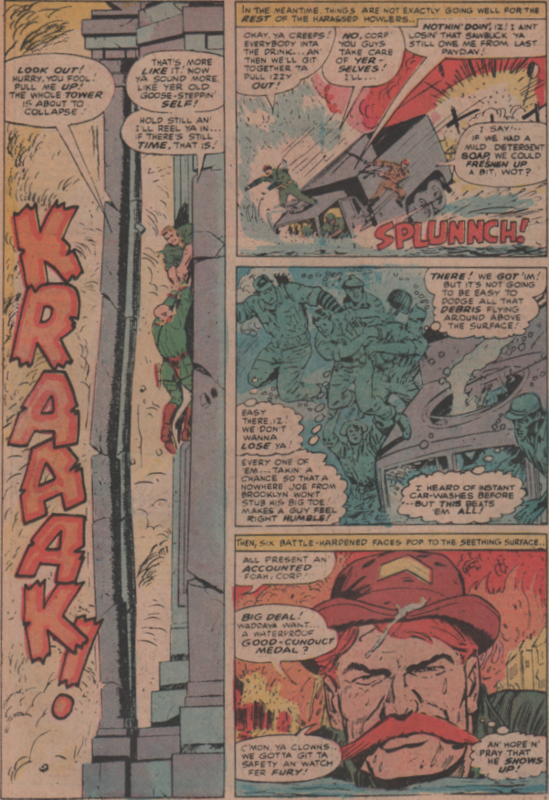 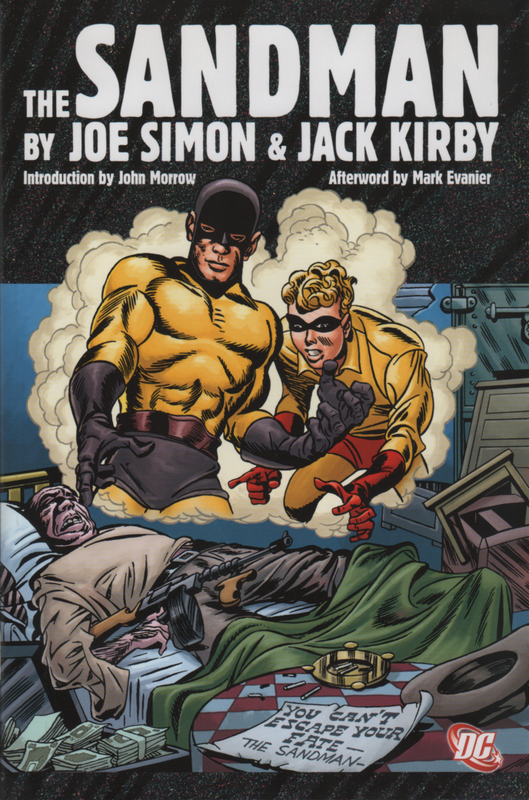 Written by Robert Kanigher, with art by Ross Andru (pencils) and Mike Esposito (inks). 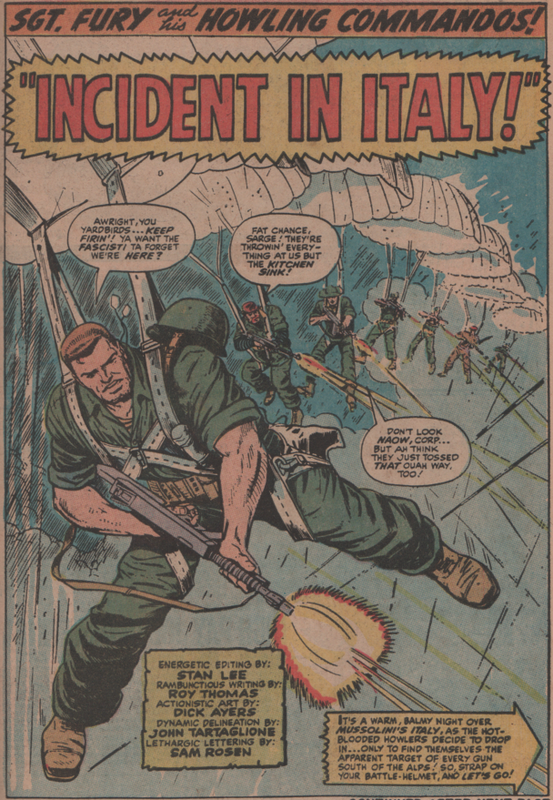 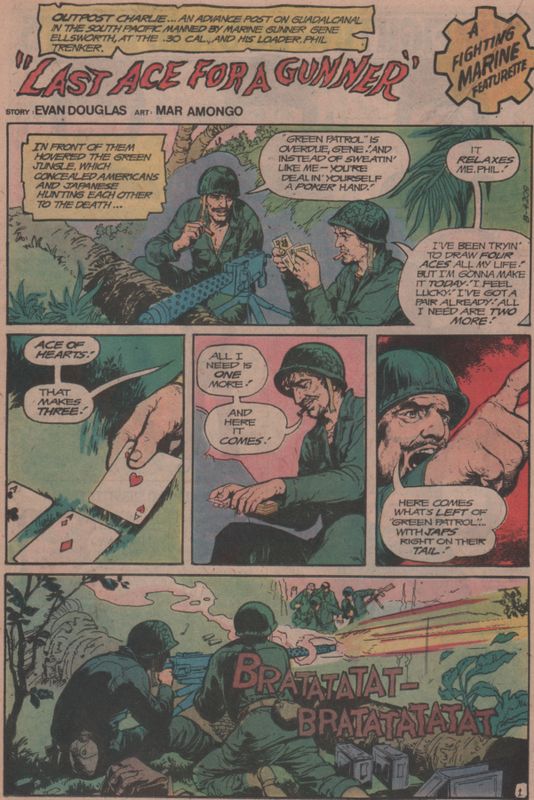 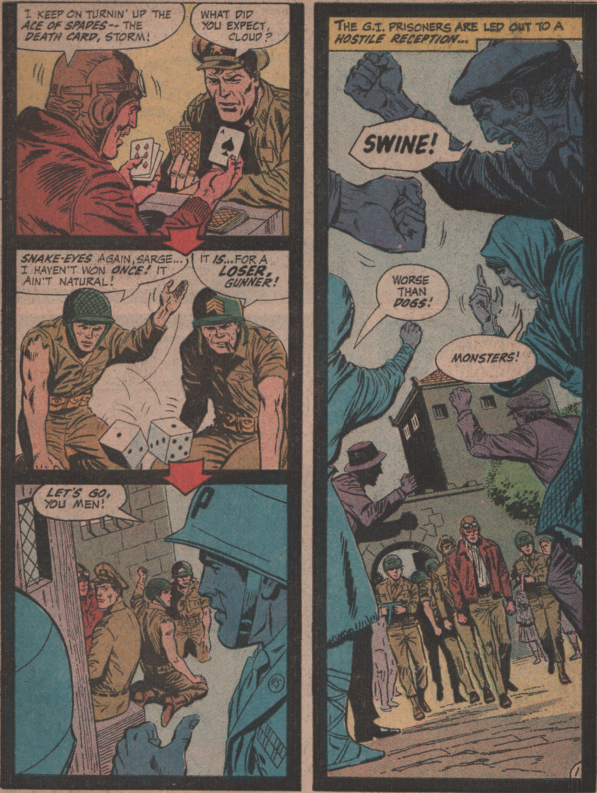 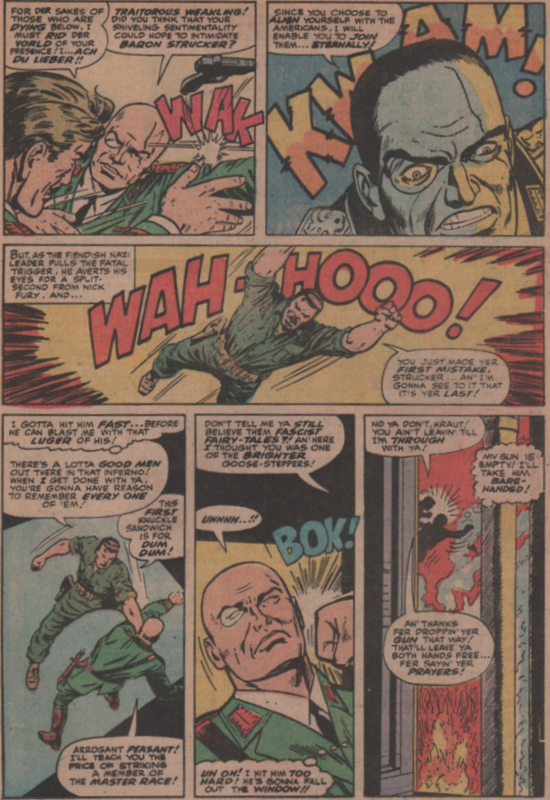 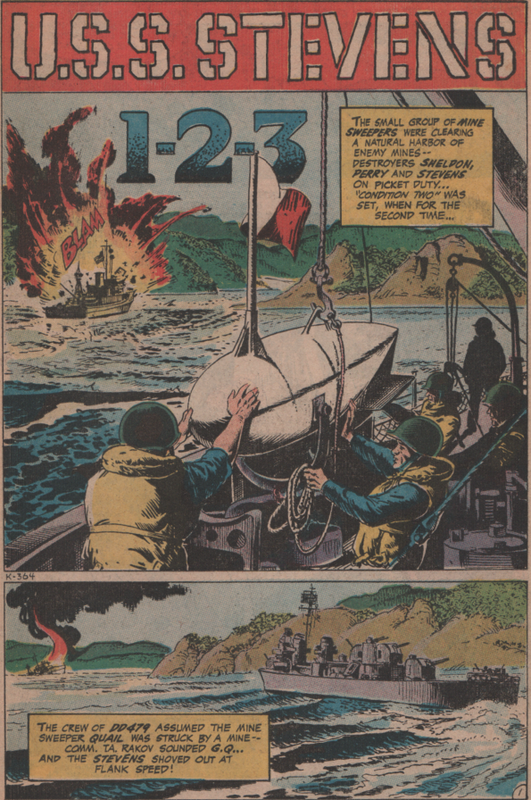 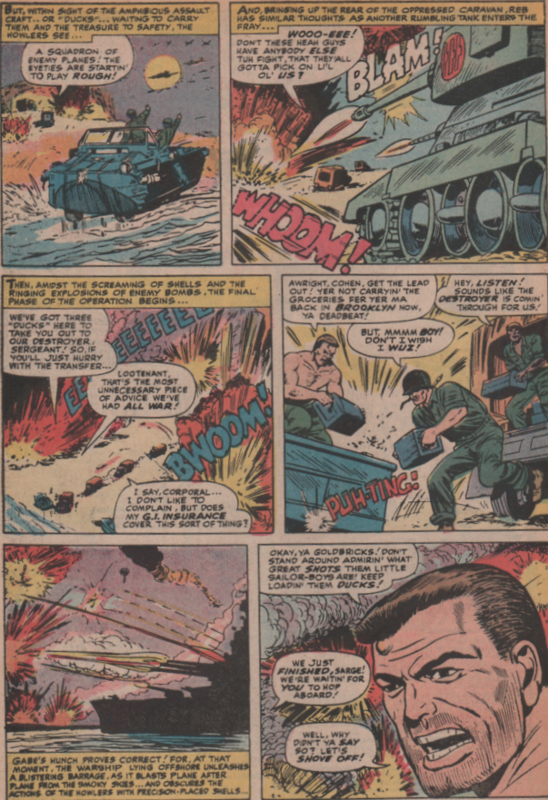 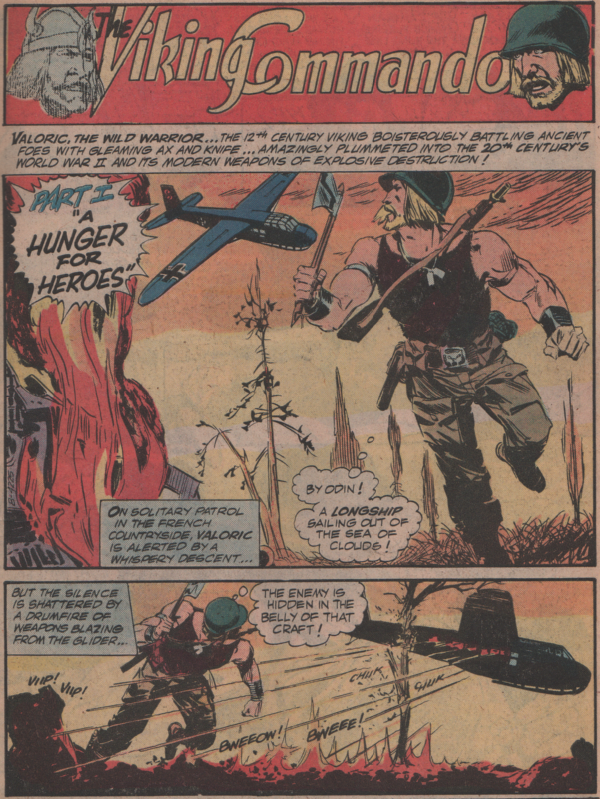 The second story gives us perennial war comics giant Sam Glanzman (script, pencils, inks)! 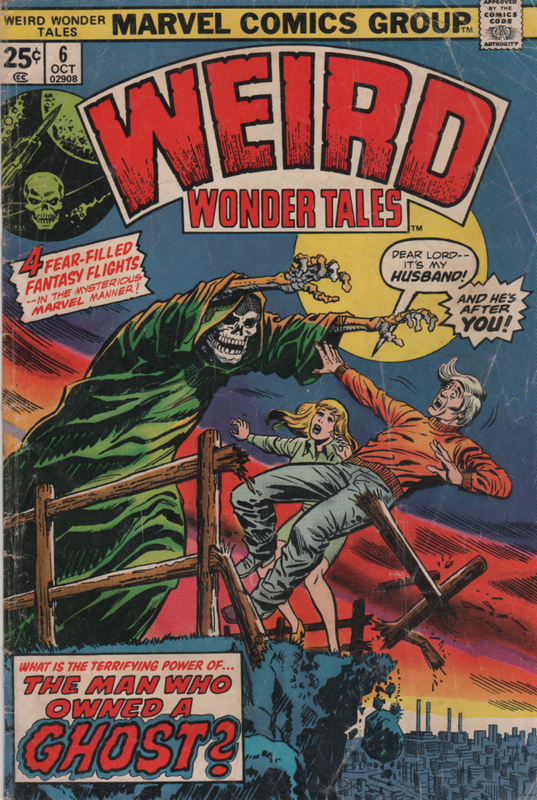 If you’ve never seen one of his stories before, definitely grab some of his material. 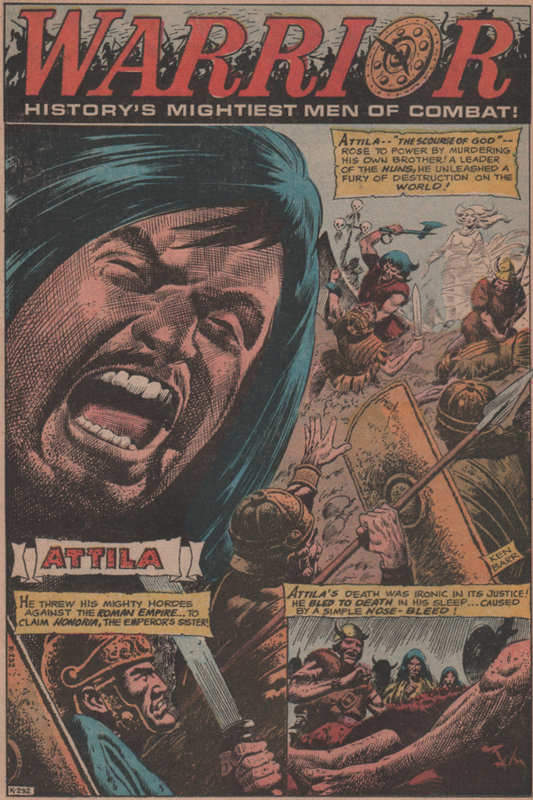 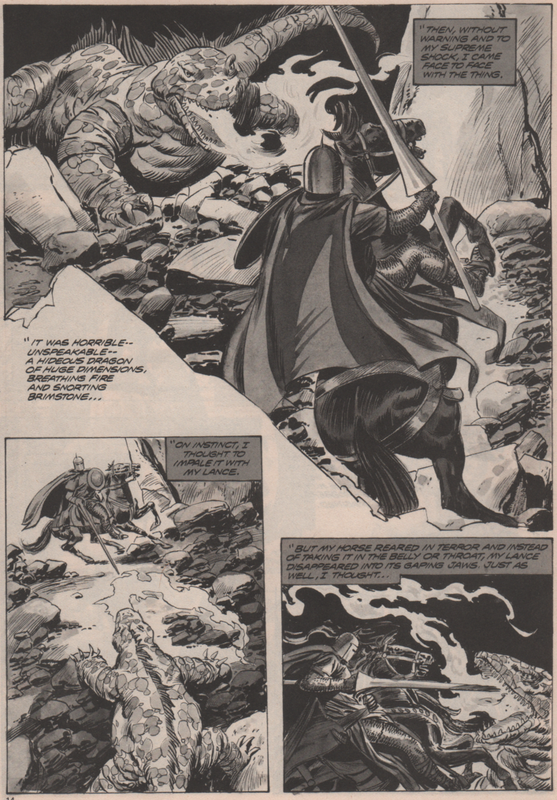 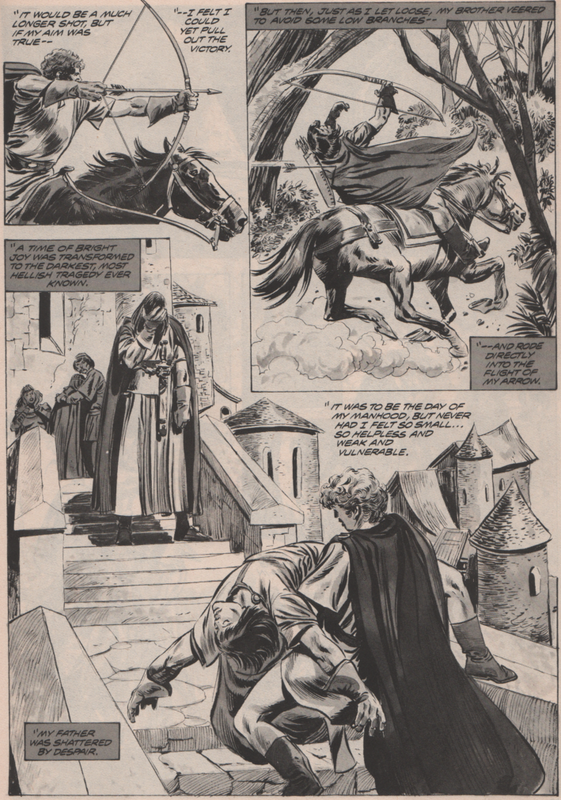 A one page story/pinup by Ken Barr (script by Raymond Marais) about Atilla the Hun, is a cool piece for sure. 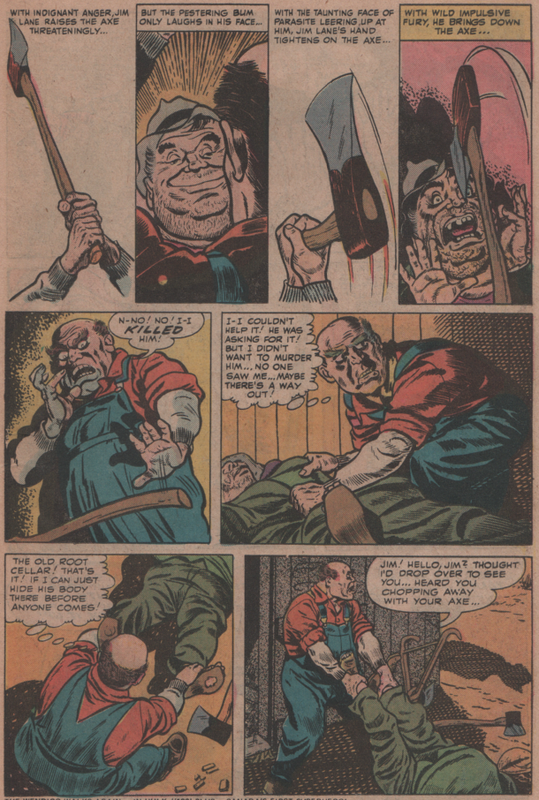 Another one page story, this one by John Costanza, brings some humor to the book for a slight change of pace. 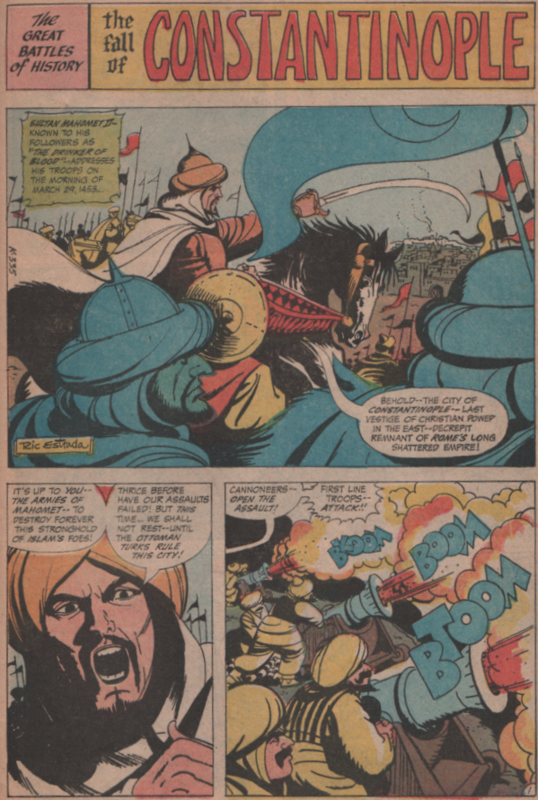 And lastly, Great Battles of History brings us The Fall of Constantinople! 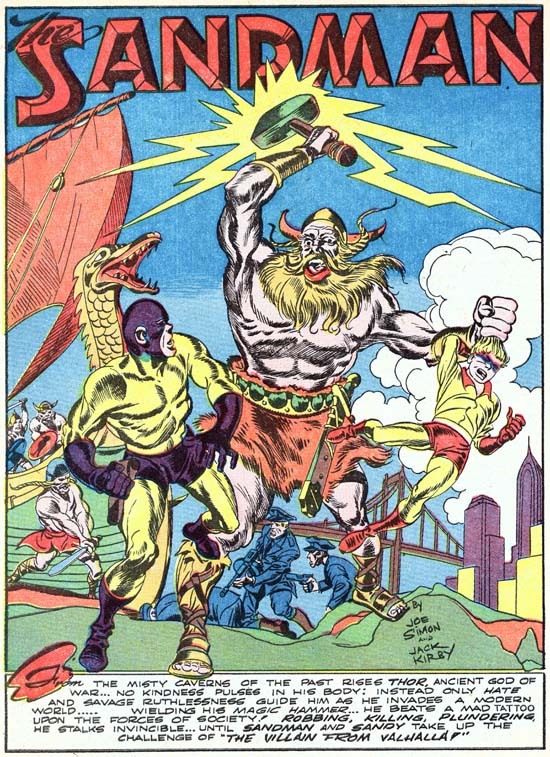 Art by Ric Estrada! 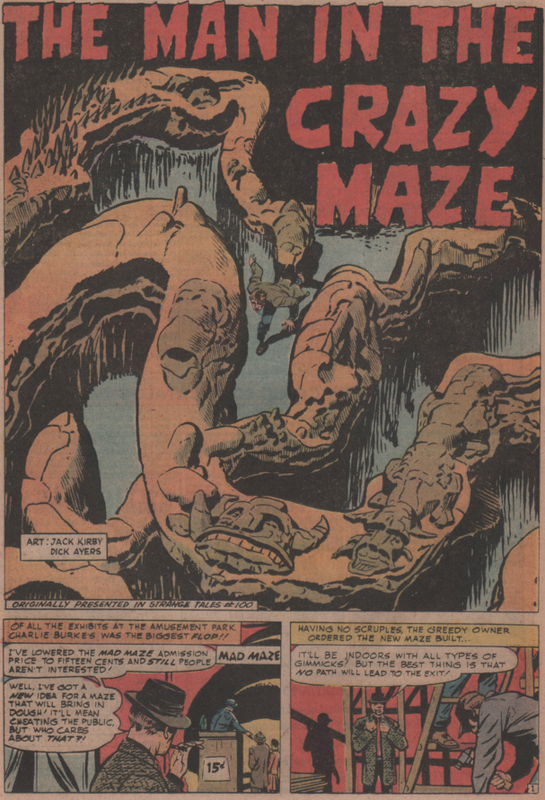 All of this is hidden beneath a wonderful cover by the master himself, Joe Kubert! 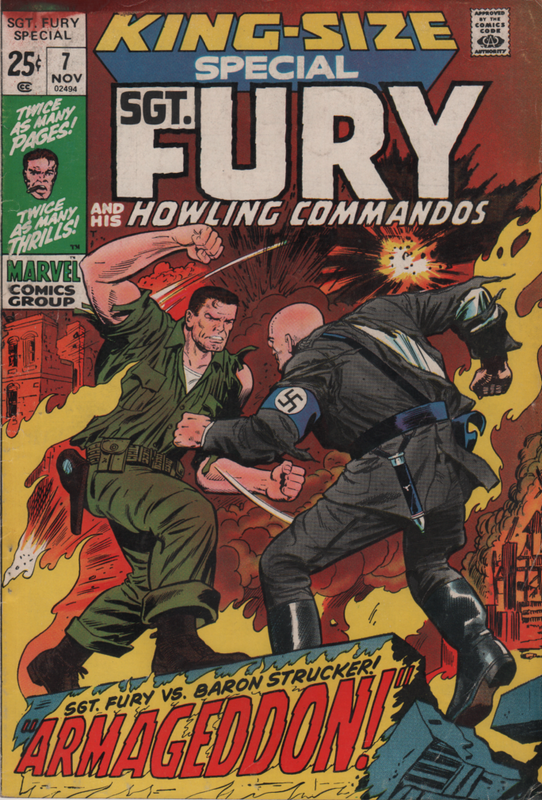 You’ll be seeing a lot of his covers in these war books, as he was a machine at pumping out very high quality work for DC comics for decades. 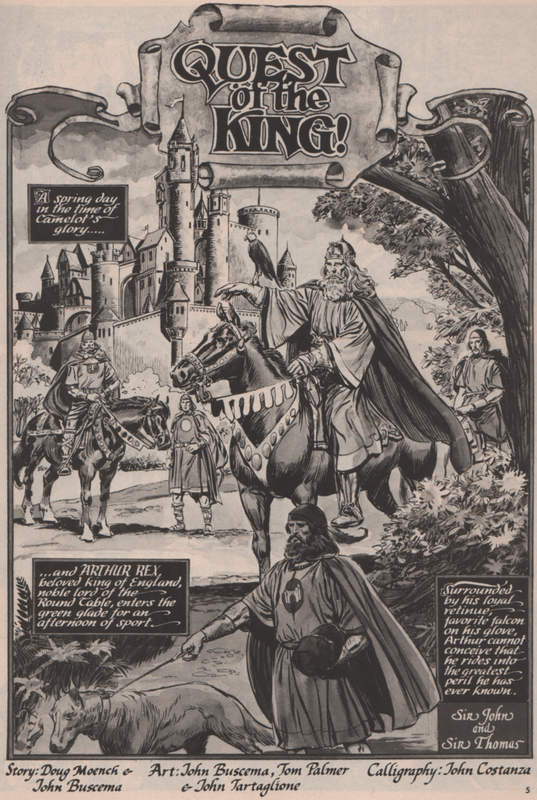 As October is finally winding down, one more over-sized book must get the royal treatment! 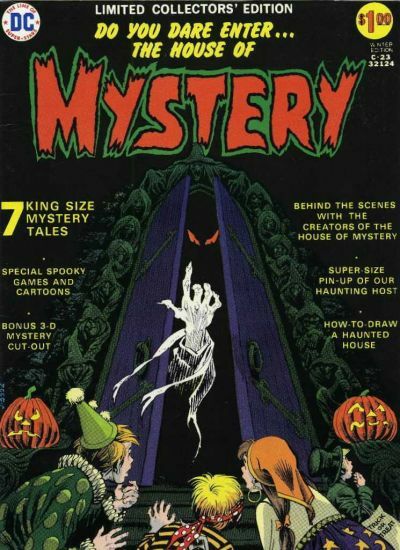 And there is not a better place to walk into than The House of Mystery! 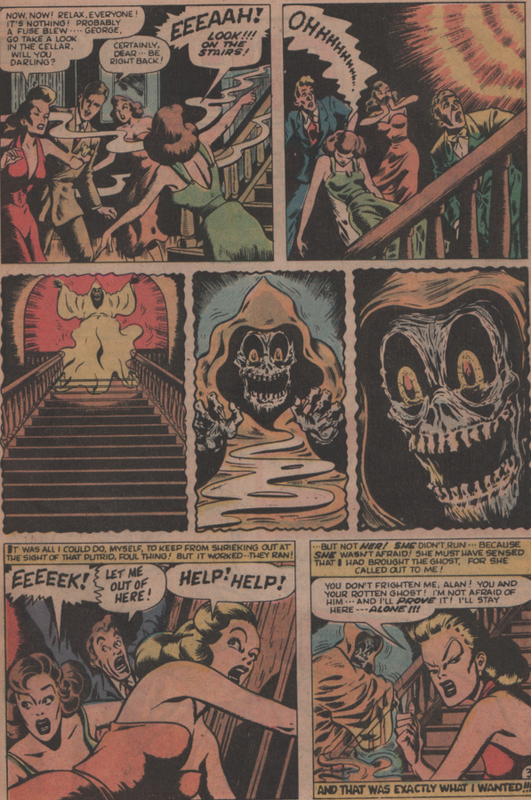 Over the years that title has had many themes (pre-code horror, superheroes, then back to horror), but it really didn’t take off until 1968, when editor Joe Orlando took over the reigns (issue 174). 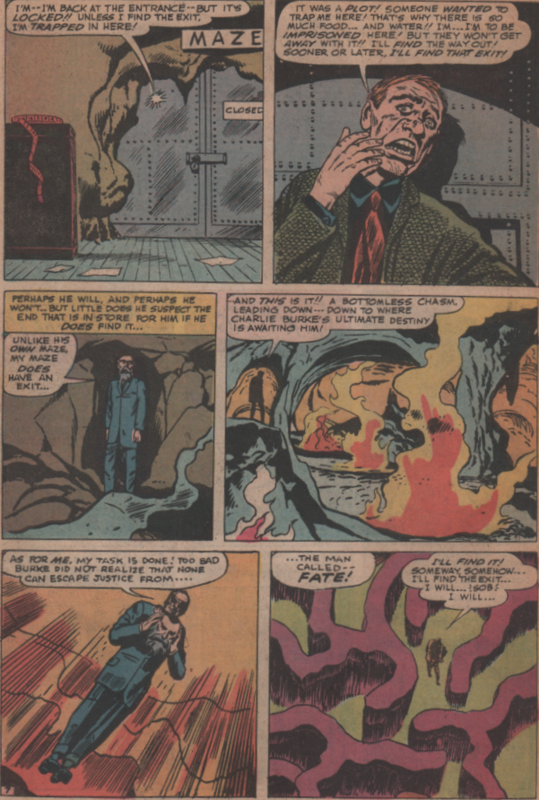 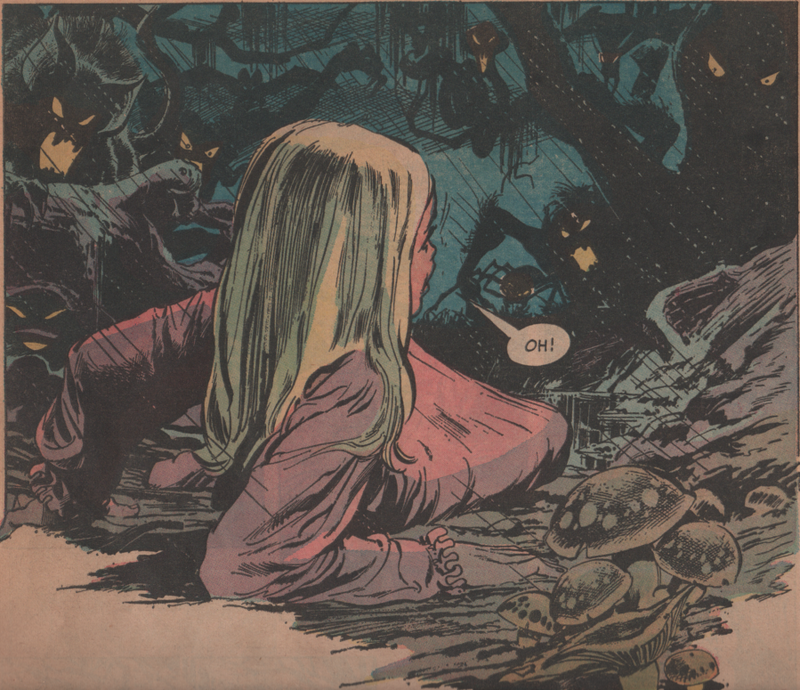 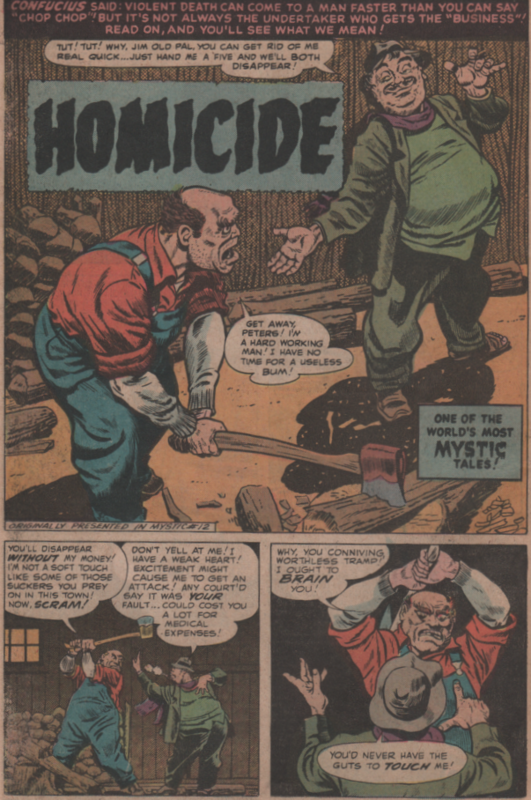 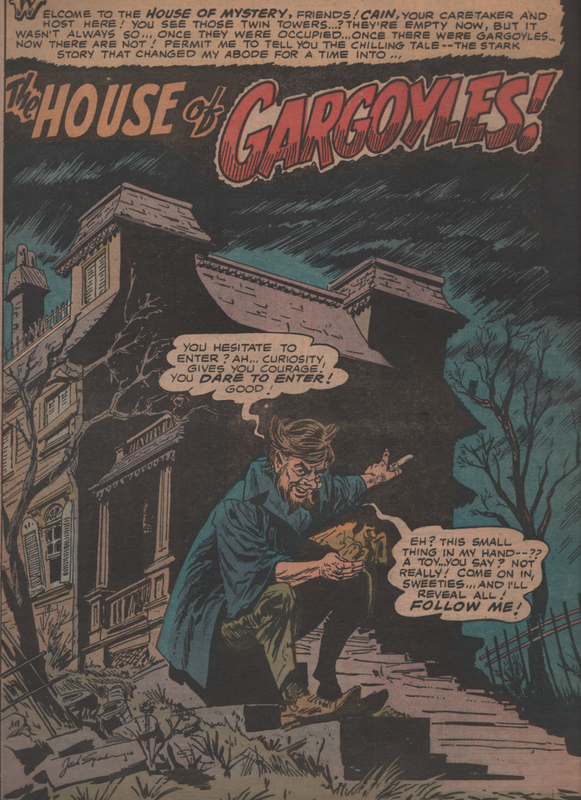 Within just a few issues, we saw the first professional work of the most seminal horror artist of the Bronze Age, Bernie Wrightson (issue 179). 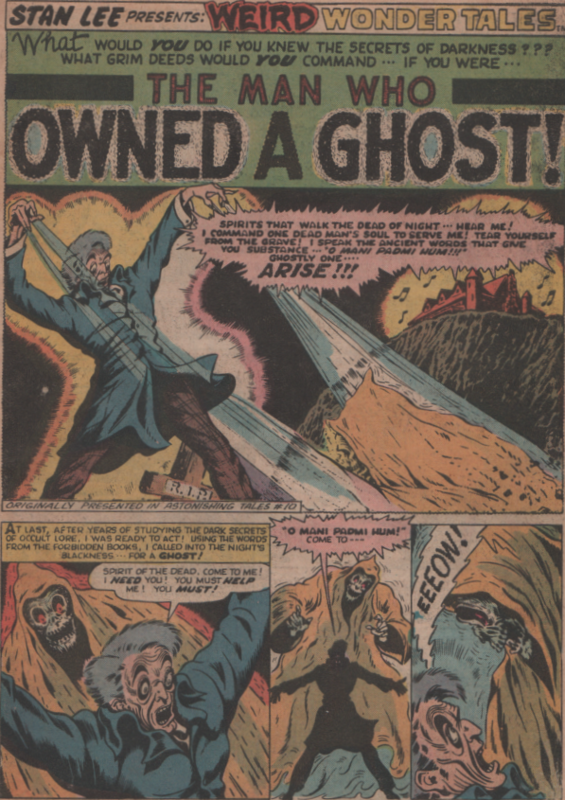 Some would argue he’s the horror artist of all time, and there’s a good argument for it, but obviously that subjective, and could be talked about for decades (and probably will be). 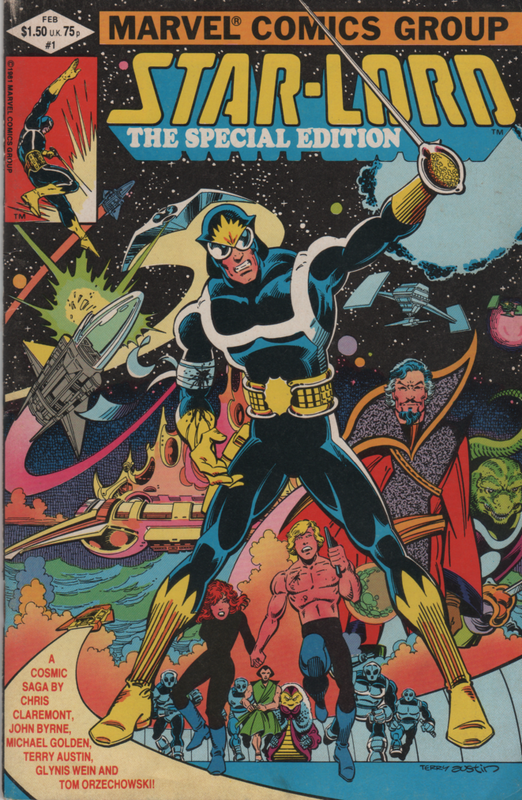 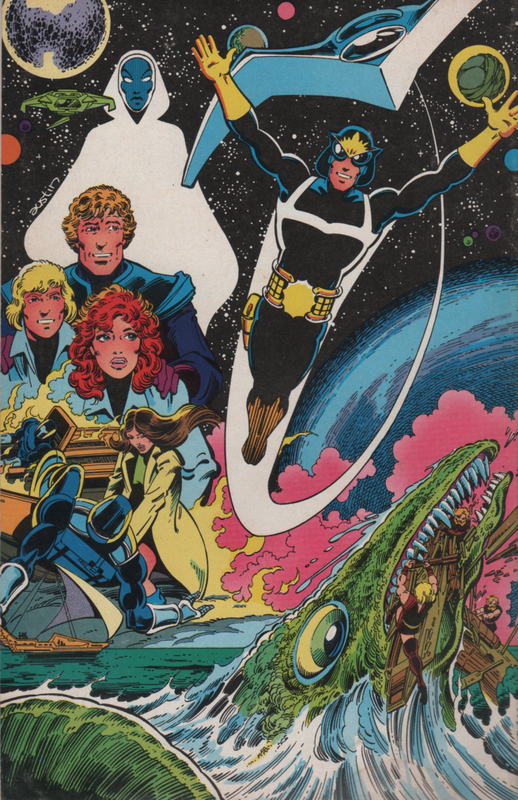 Looking specifically at this book, we get a Nick Cardy cover, and his contributions to the comic book world cannot be in question. 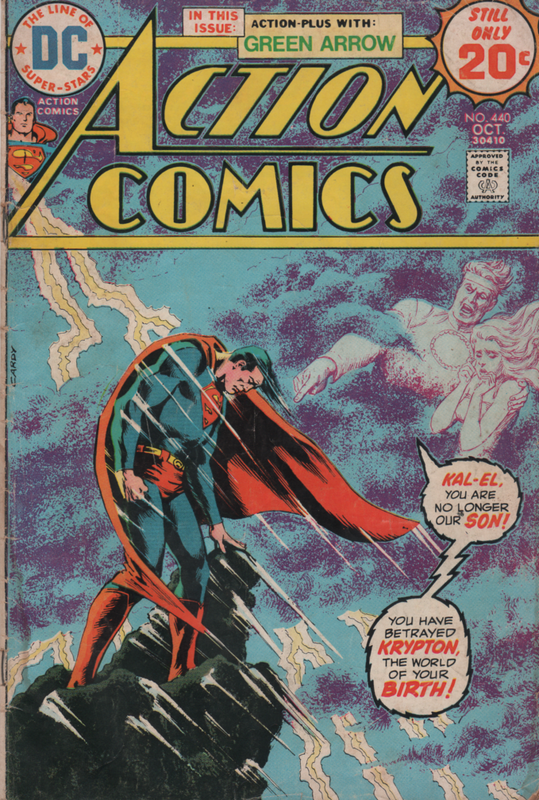 His decades-long work for DC comics is nothing short of astounding. 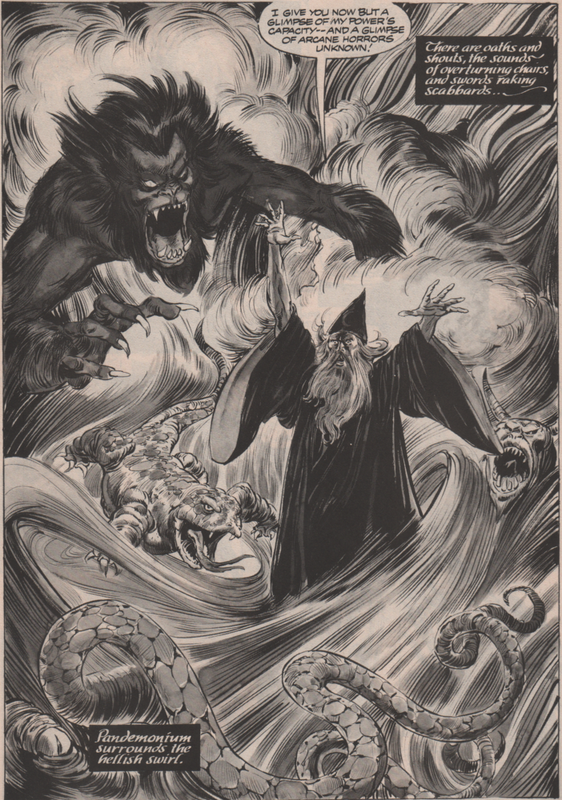 Inside we get a frontispiece by Jack Sparling, with the familiar host, Cain, telling us we are about to be in for a surprise! 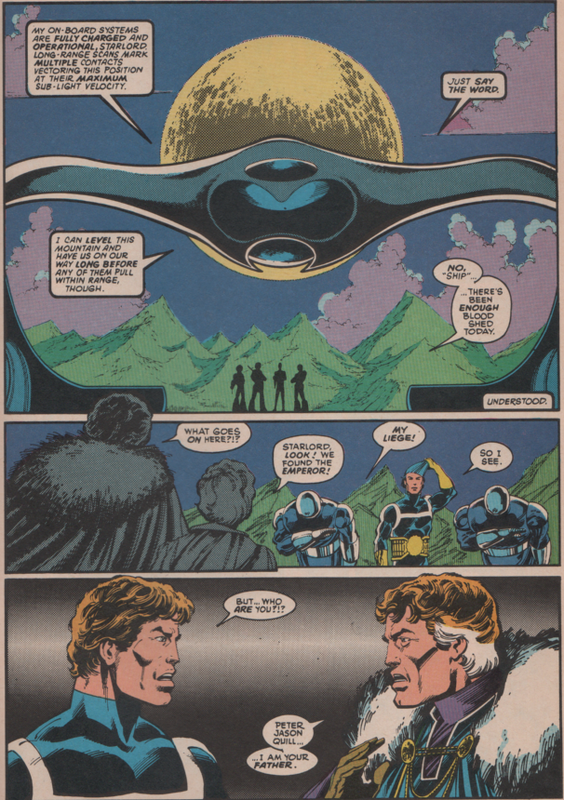 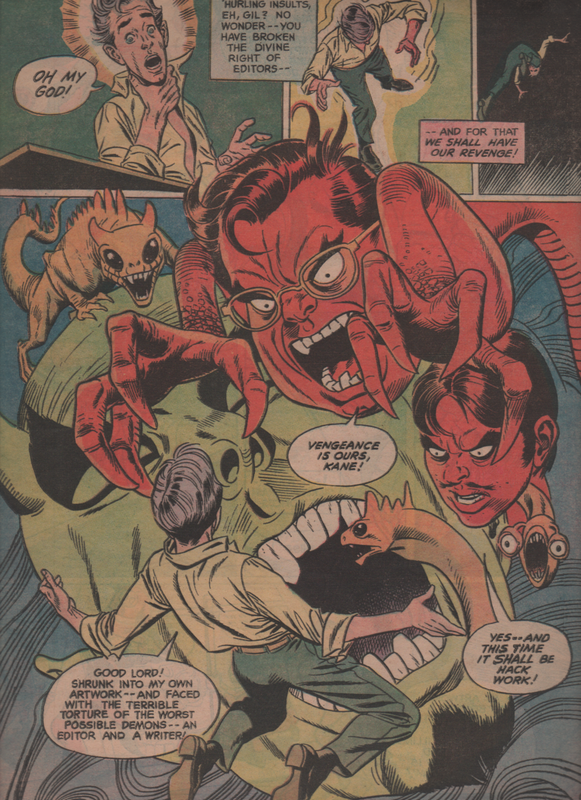 The first story, “The House of Gargoyles,” is scripted by Jack Oleck, with art by the aforementioned Sparling. 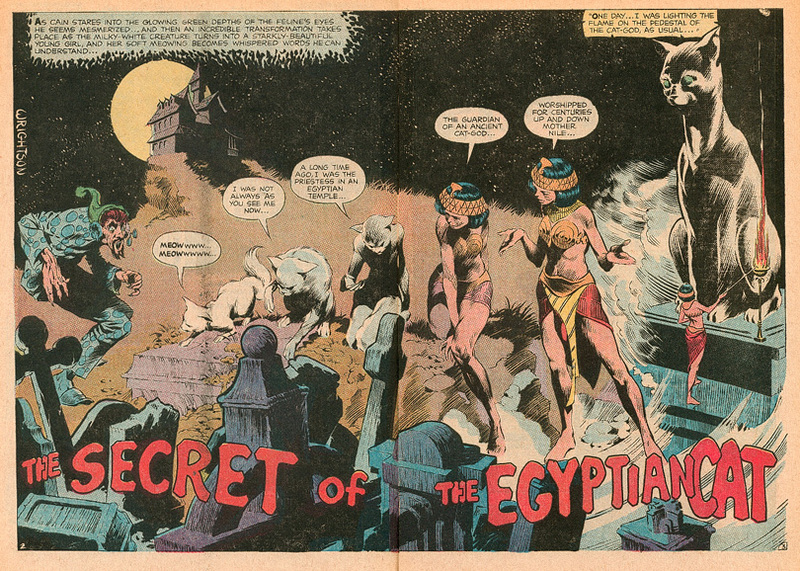 Next, there is an incredible story called “The Secret of the Egyptian Cat.” Written by Robert Kanigher (long time DC scribe that wrote many war stories), and although he does a fine job, the artistic prowess of Bernie Wrightson is what really makes this one memorable. 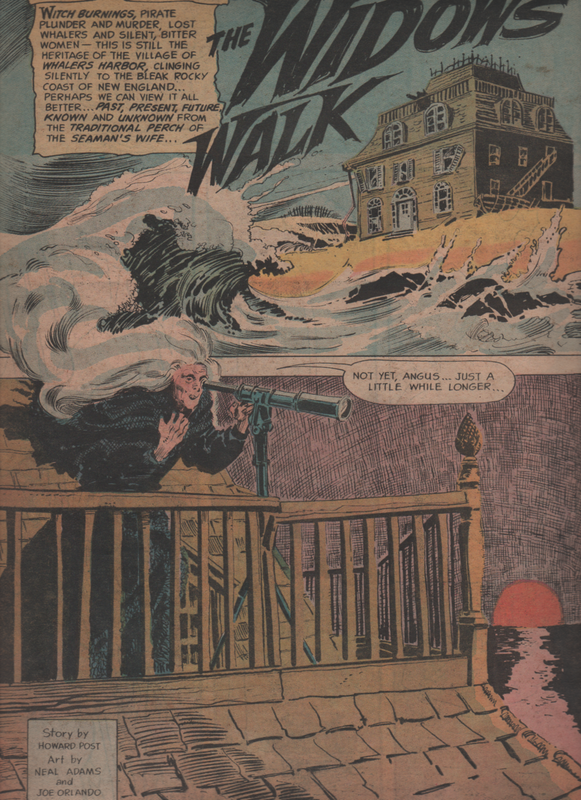 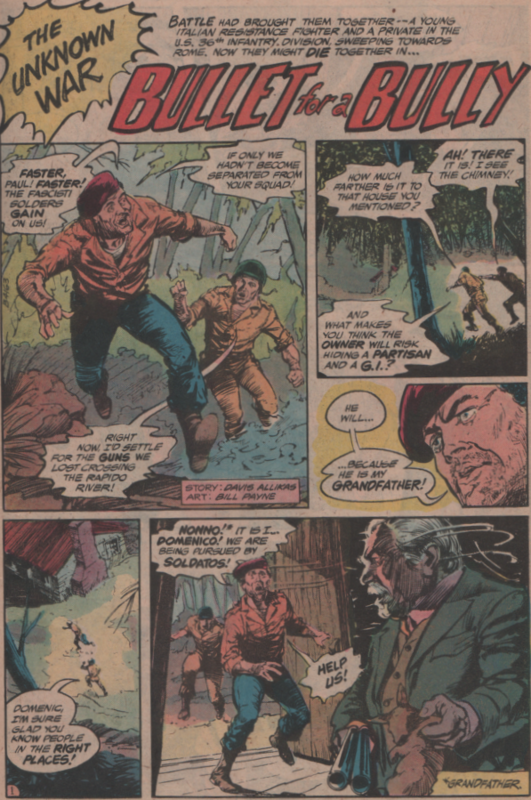 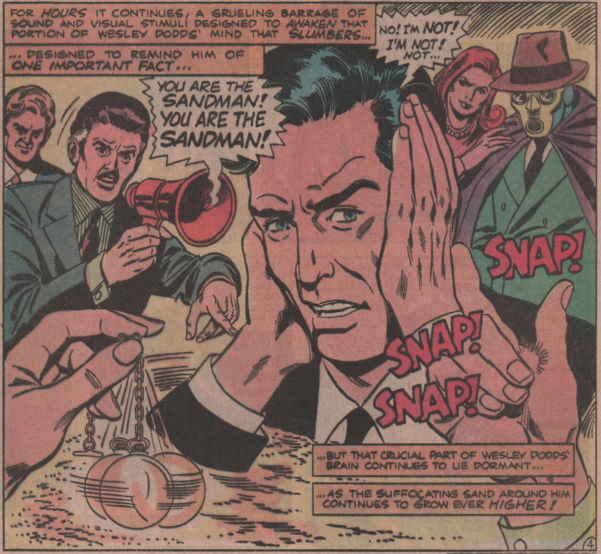 The third story (“The Widow’s Walk“) is another good one, with Howard Post scripting, and the art team of Neal Adams and Joe Orlando! 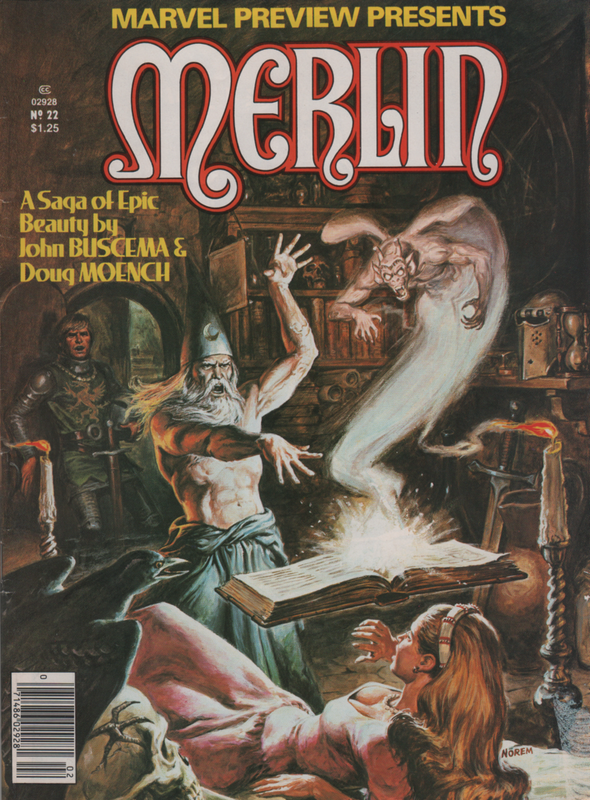 Very good story top to bottom! 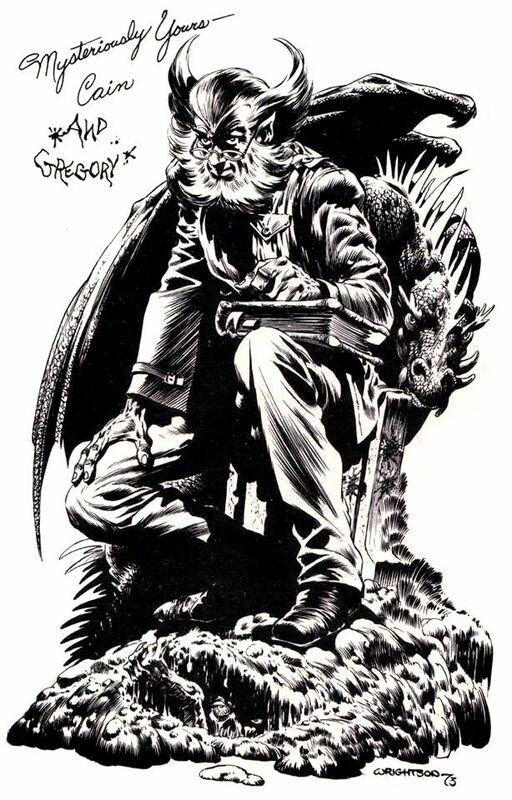 We are then treated to a two-page splash of Cain by Wrightson (black and white version), and the image is absolutely stunning. 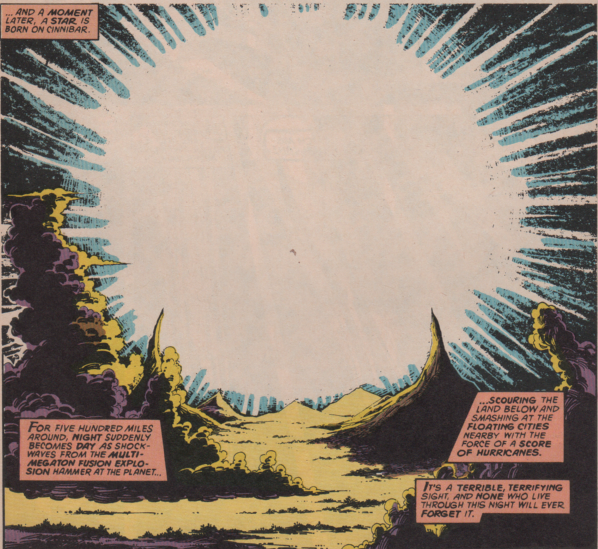 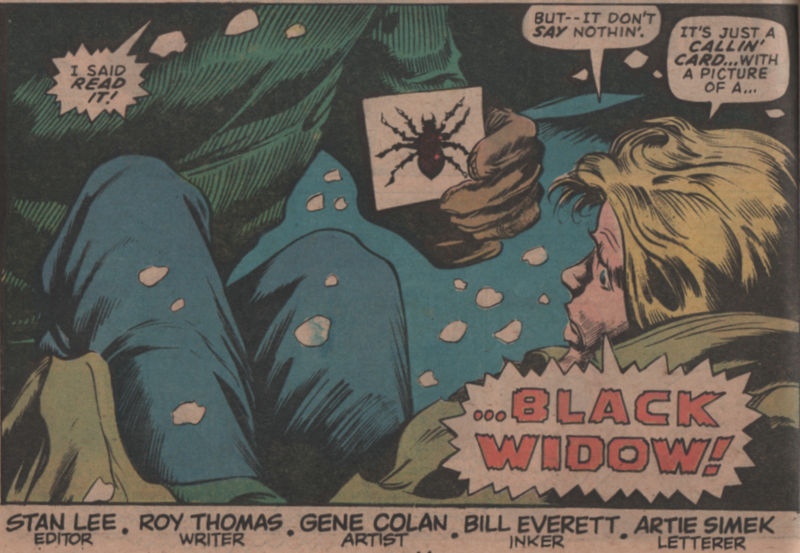 A better, more iconic image really doesn’t exist in comics. 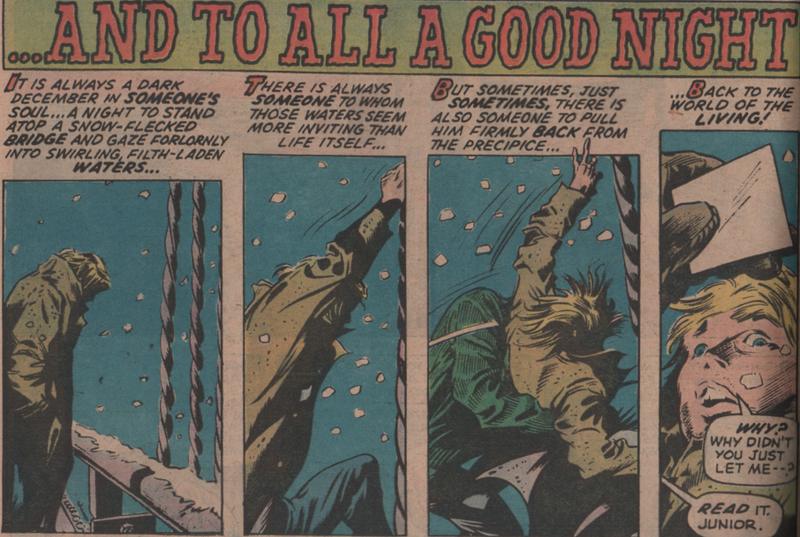 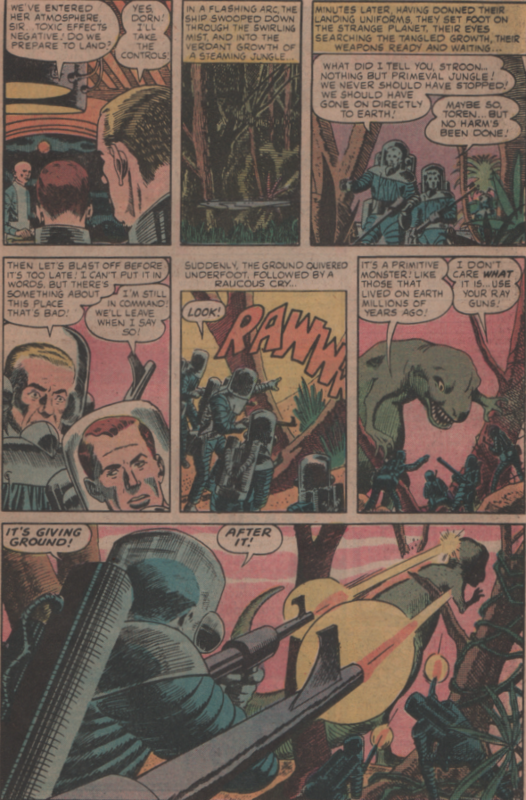 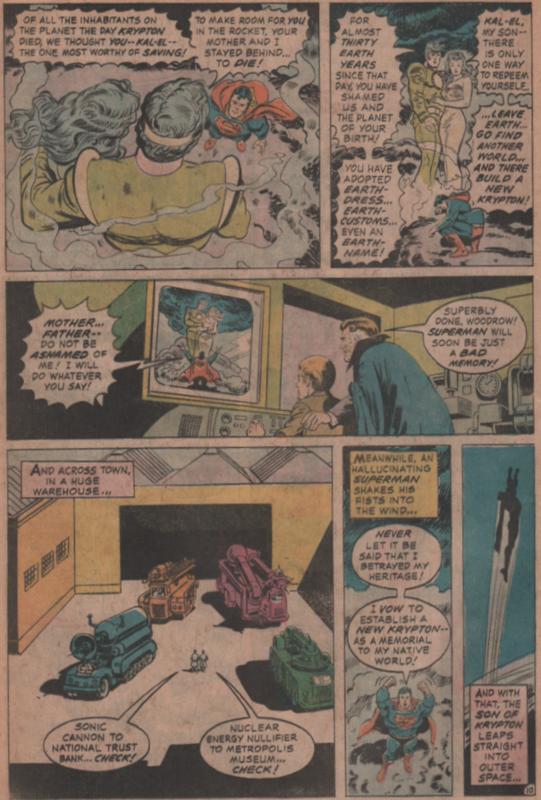 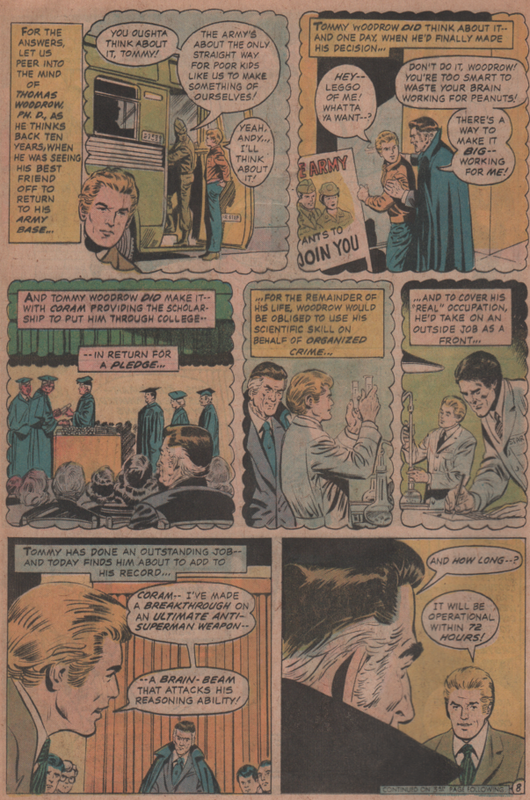 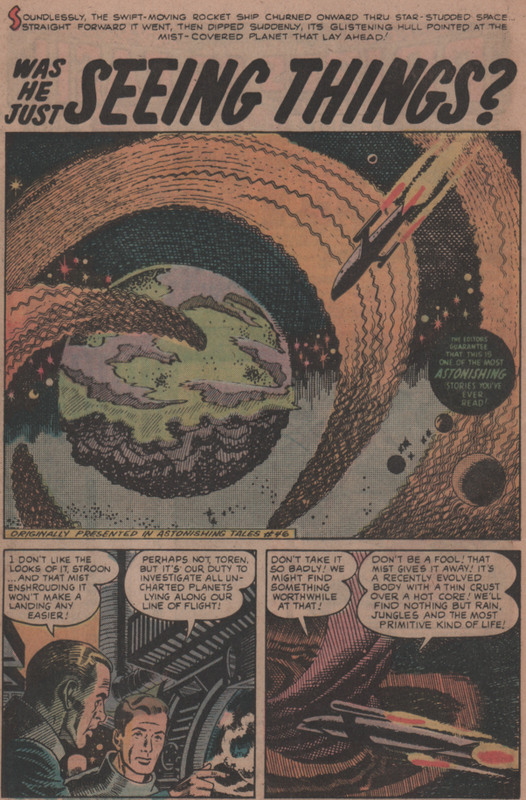 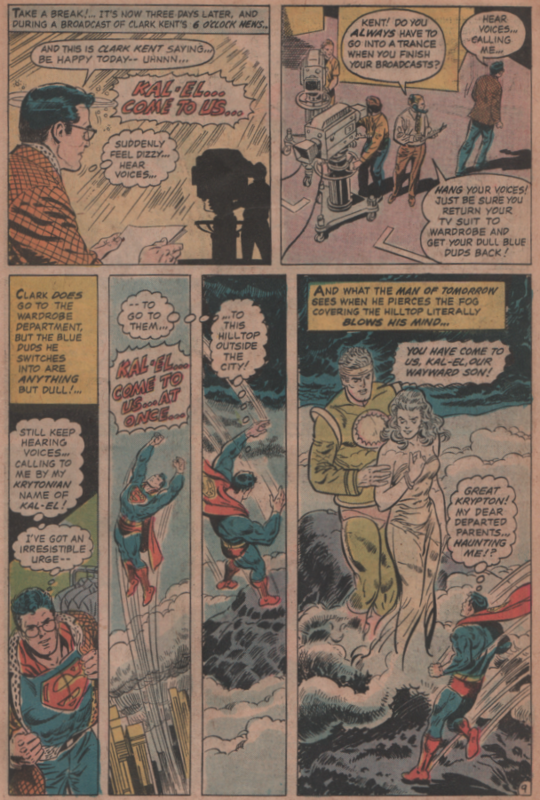 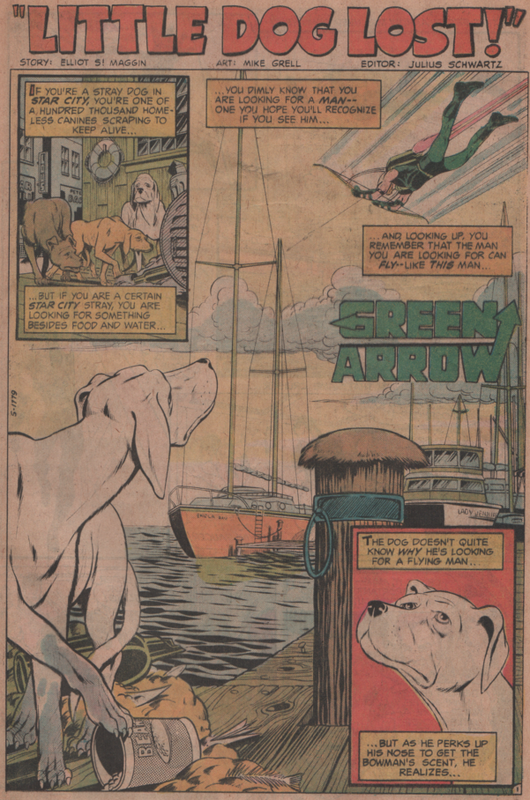 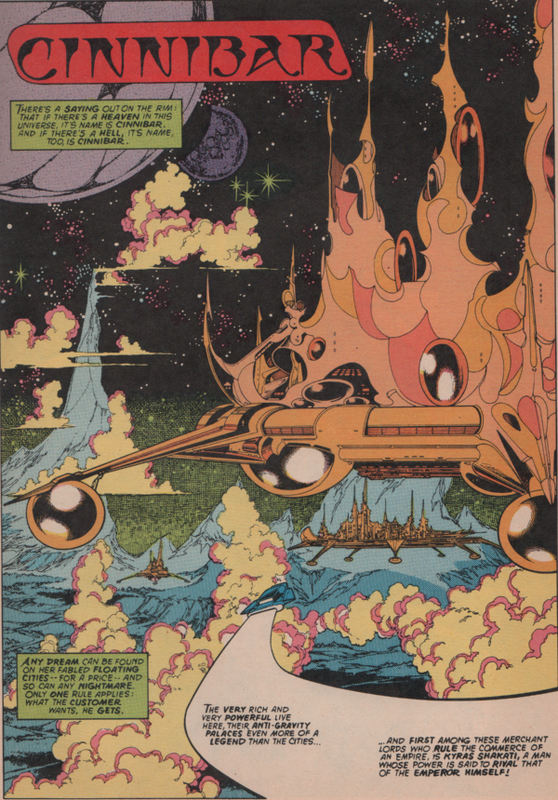 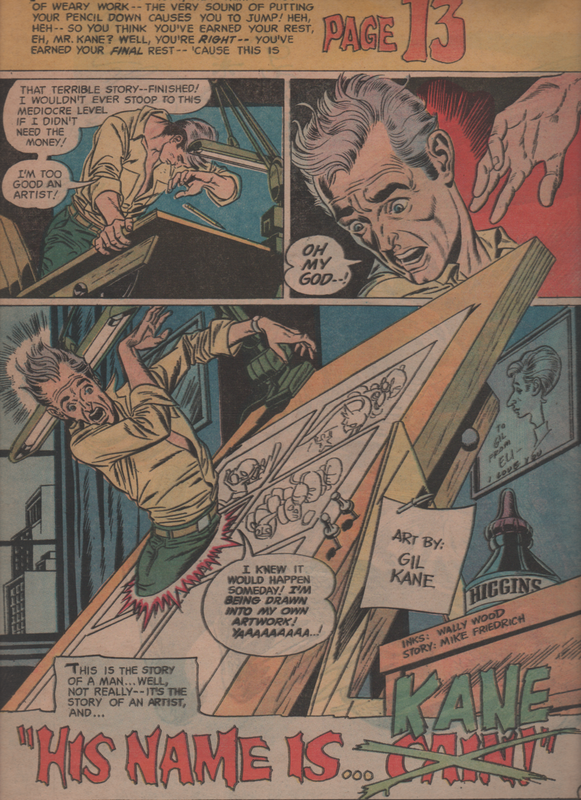 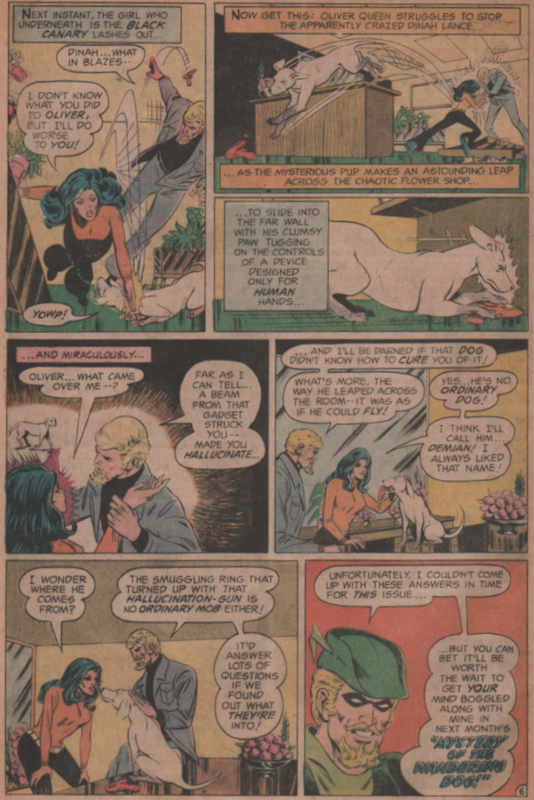 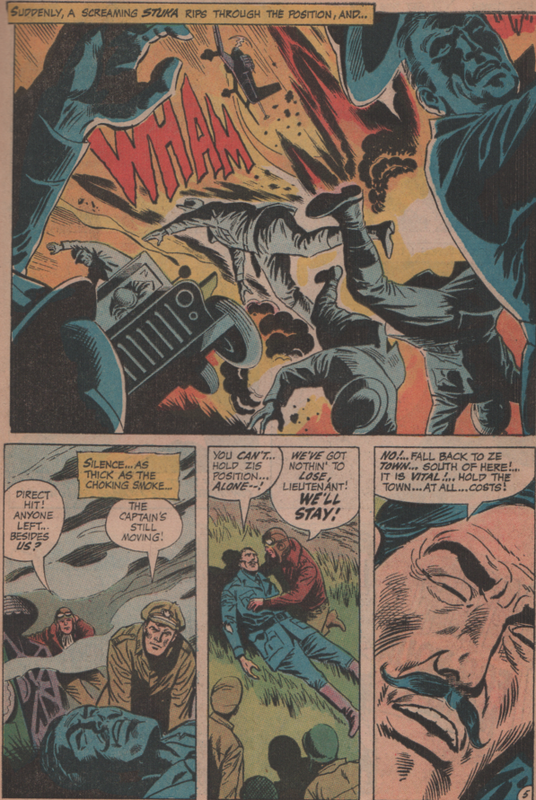 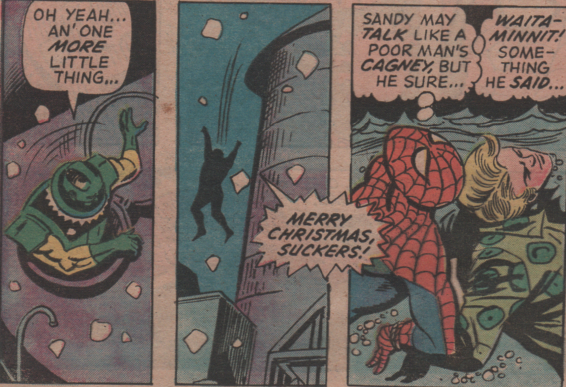 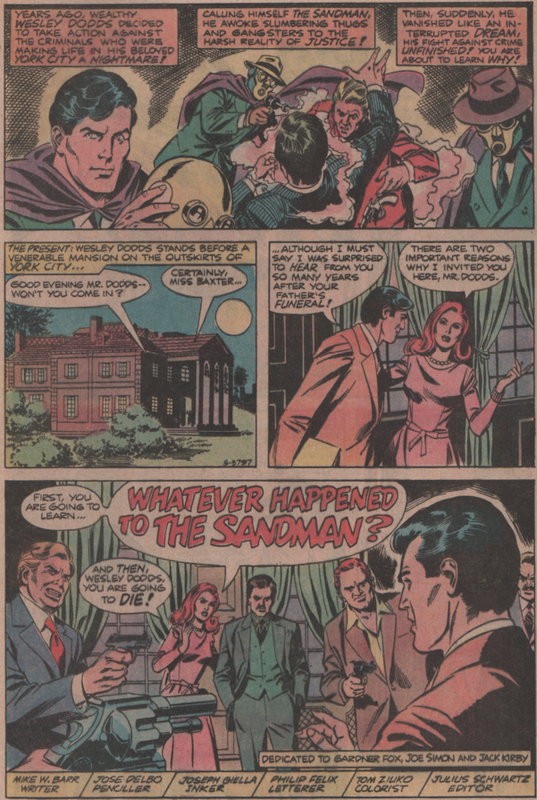 Another story (“His Name is… Kane“) with another hall of fame artist follows, as Gil Kane (pencils) and Wally Wood (inks) bless us with an art combination for the ages. 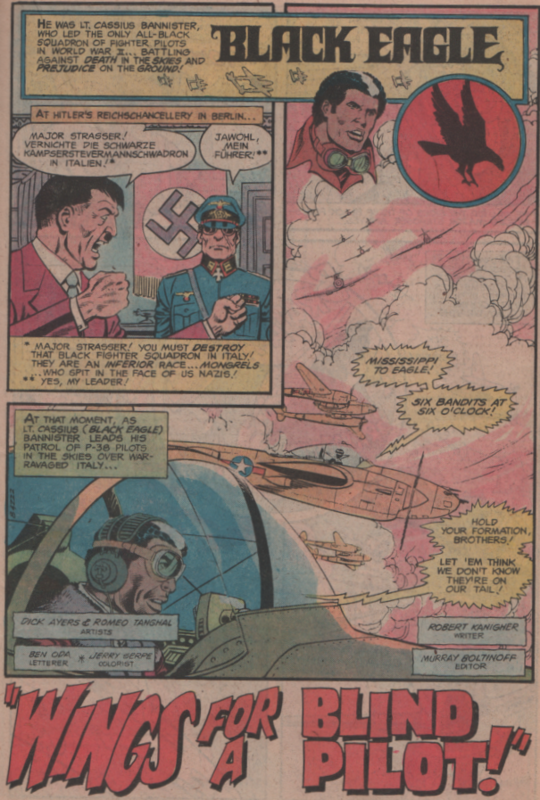 The script is by Mike Friedrich, who worked for DC and Marvel during his career. 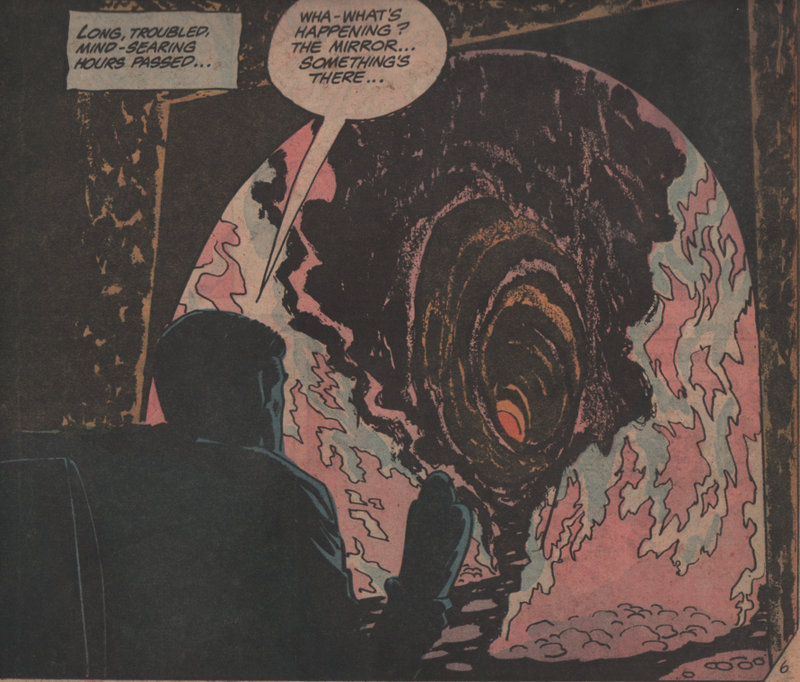 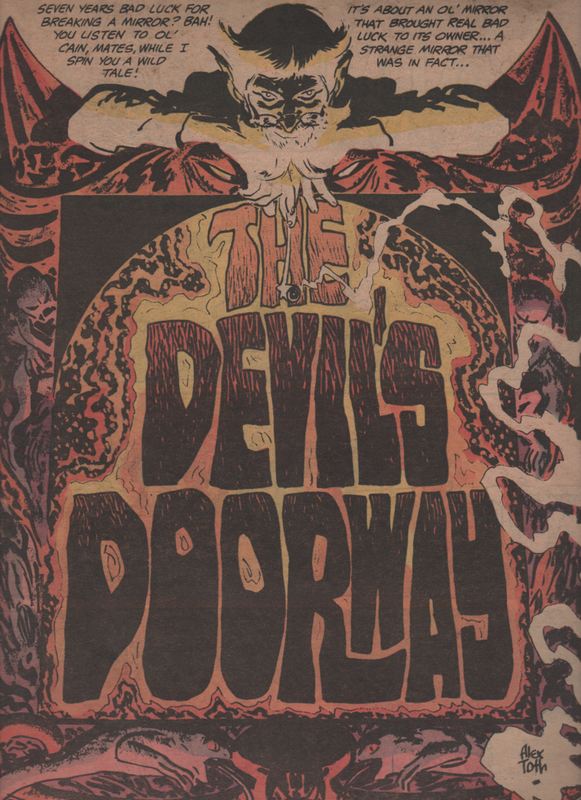 As if all of this wasn’t enough, enter Alex Toth (art) with “The Devil’s Doorway.” Another script by Jack Oleck, and once again, no offense meant, but the artwork really lifts this one up quite high. 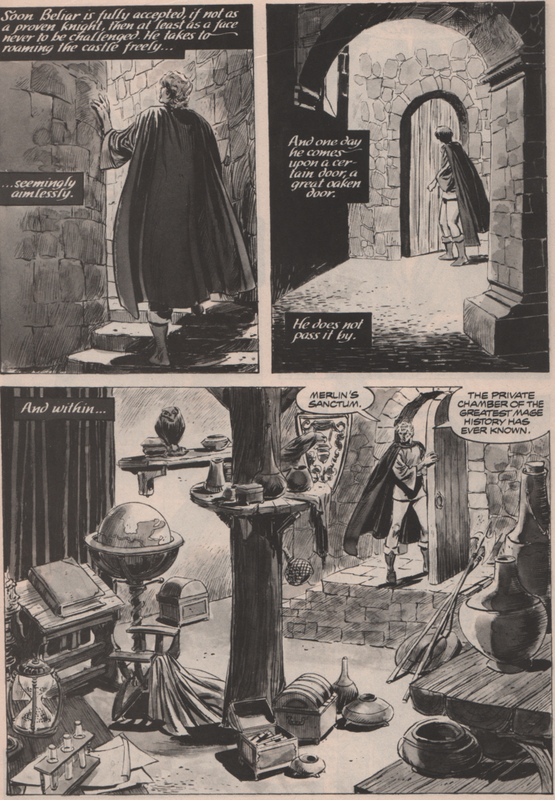 Toth is a master that did everything his way, and should be lauded for it. 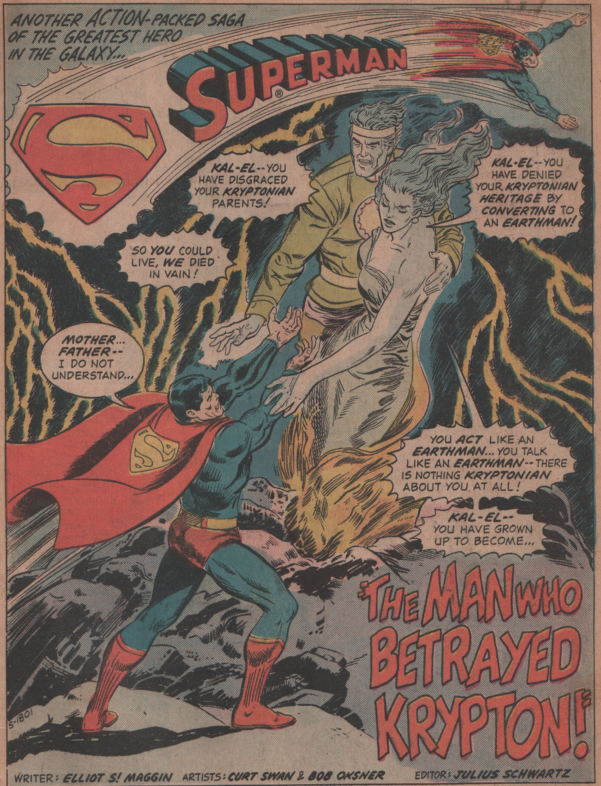 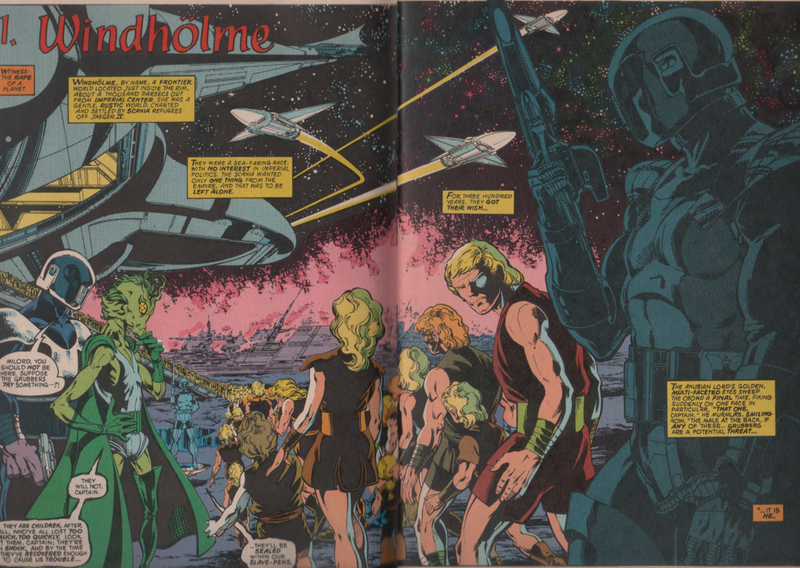 Lastly, we get another gem from Neal Adams, Joe Orlando, and Robert Kanigher. 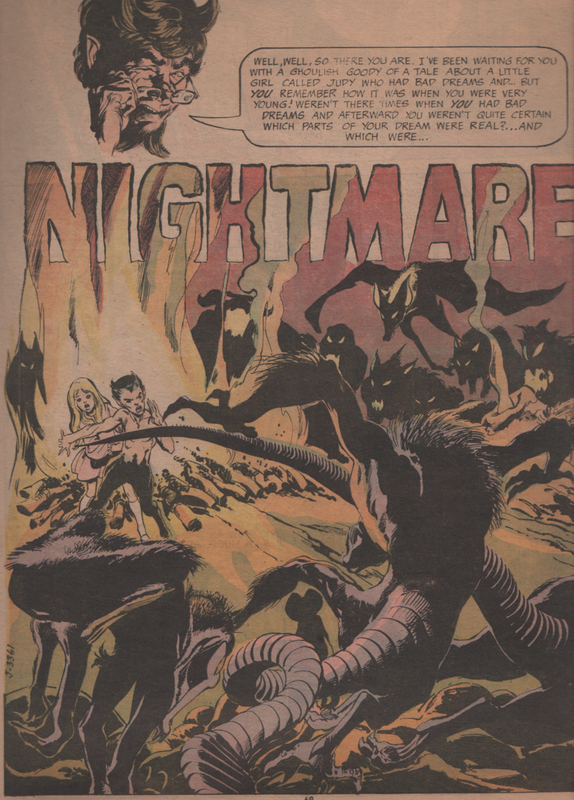 “Nightmare” is the perfect way to finish off this extraordinary book! 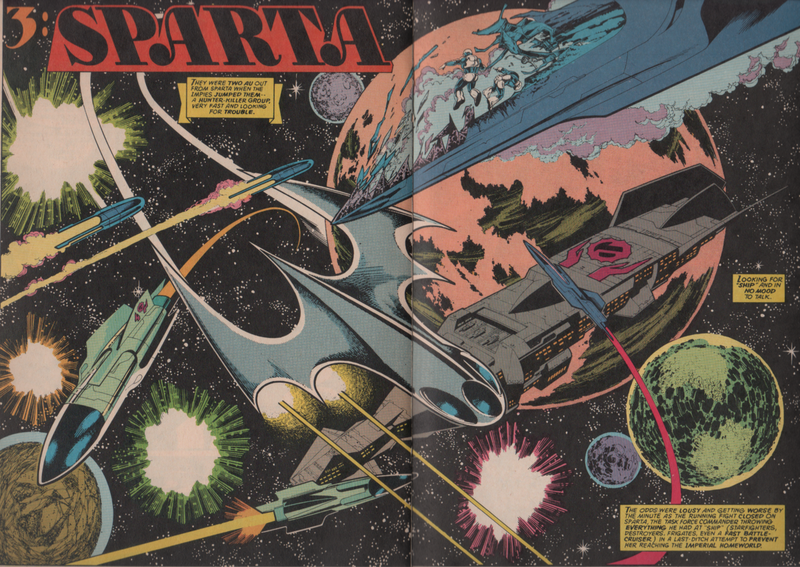 The book is also filled with funny pages by Sergio Aragonés, and even features a cut out, table top diorama on the back cover!